Synopsis (from publisher): When her four year old daughter informs her a sick man is in their yard, Honor Gillette rushes out to help him. But that “sick” man turns out to be Lee Coburn, the man accused of murdering seven people the night before. Dangerous, desperate, and armed, he promises Honor that she and her daughter won’t be hurt as long as she does everything he asks. She has no choice but to accept him at his word. But Honor soon discovers that even those close to her can’t be trusted. Coburn claims that her beloved late husband possessed something extremely valuable that places Honor and her daughter in grave danger. Coburn is there to retrieve it — at any cost. From FBI offices in Washington, D.C., to a rundown shrimp boat in coastal Louisiana, Coburn and Honor run for their lives from the very people sworn to protect them, and unravel a web of corruption and depravity that threatens not only them, but the fabric of our society. My Thoughts and Opinion: I have been a fan of Ms. Brown’s for many years, I would even guess since from when I was in college, so we are talking many, years. However, and I don’t know why, but it has been quite a while since I have read one of her novels. So when I saw that this book was up for review, I requested to be one of the lucky reviewers. I doubt there are many avid readers who haven’t heard of this best selling author and/or read one of her many books. Lethal was a phenomenal read!! A pure adrenaline rush from start to finish. A novel that was a non stop page turning, couldn’t put down, white knuckle read. 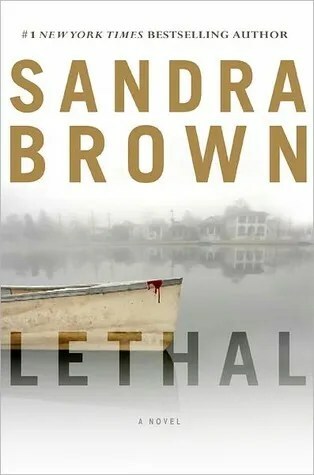 This reader will not be letting so much time pass in between Sandra Brown books again because I definitely was the one missing out on some great reading.